I’d been working on my collection of Draconic Correspondences early this morning – lots of online browsing and looking at books etc – when I decided it was time to take a break and “catch up with the day” so to speak. I’d just realised what the time was and I hadn’t even had breakfast or showered yet so I really should (reluctantly) tear myself away from my computer for a bit. While standing in the shower lost in thoughts of everything yet nothing in particular a name suddenly “flew” into my mind. I knew instinctively that this was the name of my Dragon of Chaos who, until right then in the shower, had never introduced him/herself to me. 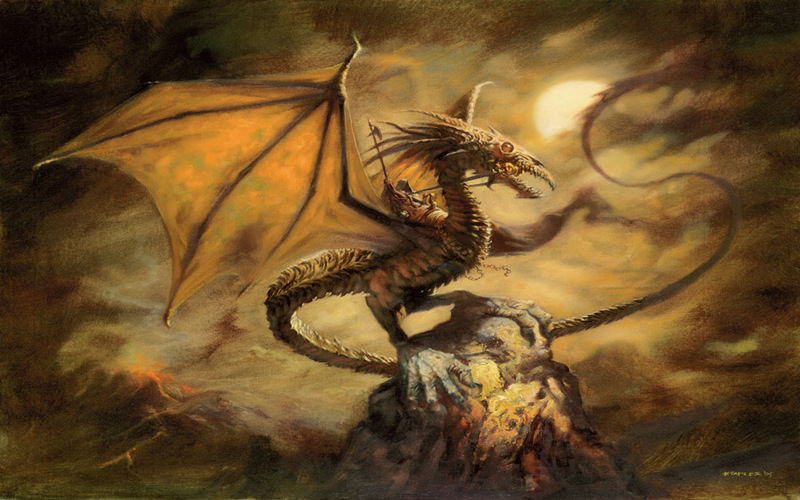 I “saw” a Dragon of great antiquity, with wisdom and knowledge acquired over countless millennia. My first impression was of a male energy, a rather stern grandfather to be more precise, but then that changed to a more grandmotherly feel, then neither, then all ages and genders rolled into one, constantly swirling and changing with each individual essence coming to the fore for just an instant – chaotic yet orderly at the same time – an enigma. As usual, I will not be revealing the actual name the Dragon told me, just the “public” name which is Kory. 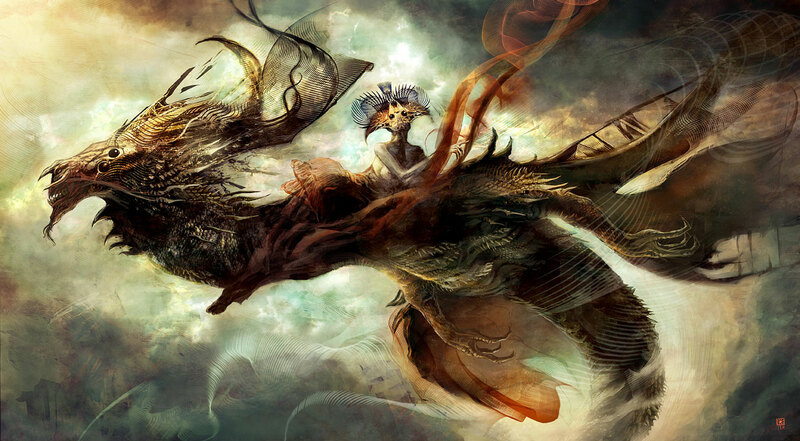 Kory looked at first very much like an artwork I had seen, “Abstract Dragon, by Livingrope” shown below. I find it wonderful, yet quite odd and amusing, that a Dragon of Chaos should suddenly present itself to me in the midst of my morning ablutions! 😀 However, I know I really do need to bring some order out of the chaos that surrounds me right now so the arrival of this Dragon could be just what I need …though I will proceed with caution! 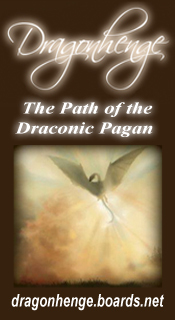 This entry was posted in Magickal, Mystical Moments & Draconic Synchronicities, My Personal Dragons and tagged Abstract Dragon, Chaos Dragon, dragon circle. A nice go, at that. I, myself, have been looking at getting into some personal workings with Leviathan, and a few other very “dark” dragons. I will try to find some of my correspondences and charts, because this looks a little similar (aside from the personal names) to what I came up with a few years ago. 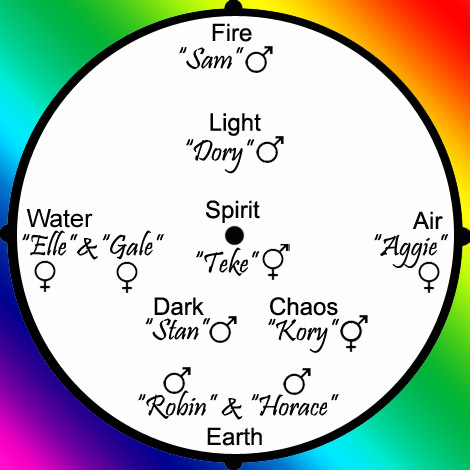 I was working on a project to find out something about these “thirteen dragons of the circle” I was told about. It was a very involved process and was to include correspondent stones and herbs. Someone had told me that these were the make-up of the “Dragon-Council”, yet for years, I was unsure on where to even begin my search. I would be more than willing to share some of my work if there is interest. 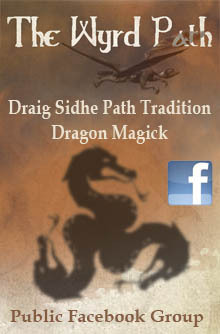 I was told by a Dragon Deity that my work may become very important for others, someday. 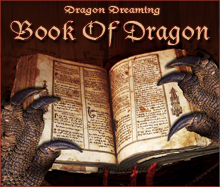 Very interesting that I have made a few more chance encounters with dragon-souls online. Each one of them are actively seeking answers, like I was years ago. Please keep up on the info. I think there is more to be revealed by all of us dragon-souls, in the near future. Something is “brewing”. I can feel its permeating presence growing. As those seek info on this kind are a rare breed, I can only offer this advice. Take what is useful from each source. Discard the rest. Those who work with dragons for any length of time will tell you that Dragons rarely reveal everything they know about a given subject. Some of them still view us as not totally trust worthy. Measure anything you are told from an author against your personal Codex. 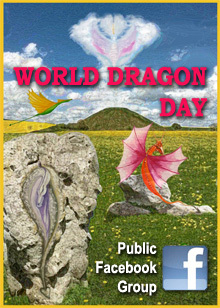 I have been to this site a lot because Dragons appeal to me. This is because when I was a child up until the age of about seven, I had an “imaginary friend”. I do not remember him much, but my mother informed me that I had said he was a purple Dragon by the name of Doctor (pronounced doc-door). I am very sad I do not remember him, but according to my family he was always with me and because of him, I never got into any trouble. I was interested in finding out if he has been known to anybody else, and if so if anybody knew more about him. His essence has been calling to me for many months now. Hey! It’s me again. I’m typing this while listening to violent sounding music, so don’t be worried if I start talking in an odd manner. Anyways, I saw an article on here saying that the dragons would be showing themselves to us again some time soon, that’s when I stumbled across something saying that some dragons used a portal to get another planet; which lead me to a scientific theory type thing. I don’t know if I’m able to pass up links, but here we are. The first thirteen Runes from “Ratanen” to “Waethan” plotted exactly well upon the Kabbalistic “Tree of Life” from the Ain Soph Aur (Ratanen), through to “Malkuth” (Waethan). These were the thirteen primal Dragon energies I was “reminded” about. I should have seen this years ago. So there you go. 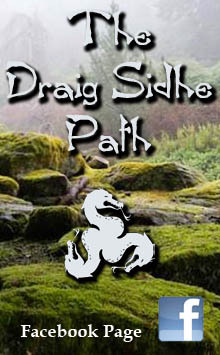 The first thirteen Dragon Runes is what came to me as the “Ring of Thirteen”, followed by the “Circle of Twelve” – as in the “Twelve Stages of Dragon Manifestation” of the Universe, followed by the Two closures (the final two Runes that instigate the destruction). I will have more to post on this subject on my own blog when I get the rest figured out. how you could make a larger mat, for your own metatrons cube, would be textiles. like make the base from burlap or silk, and embroider it with your symbols and the grid pattern. 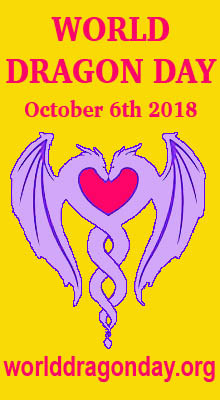 i love your sight and wish i could attend anything that you do, but i am too far away from everything, so im going to celebrate world dragon day by myself or with one friend here at home. Uh, how many dragons are there, exactly? And do certain dragons pop up at random times becoming one of your personal dragons? If so :sighs: my dragon Andromeda (her public name of course) is about to be in a world full of adapting.